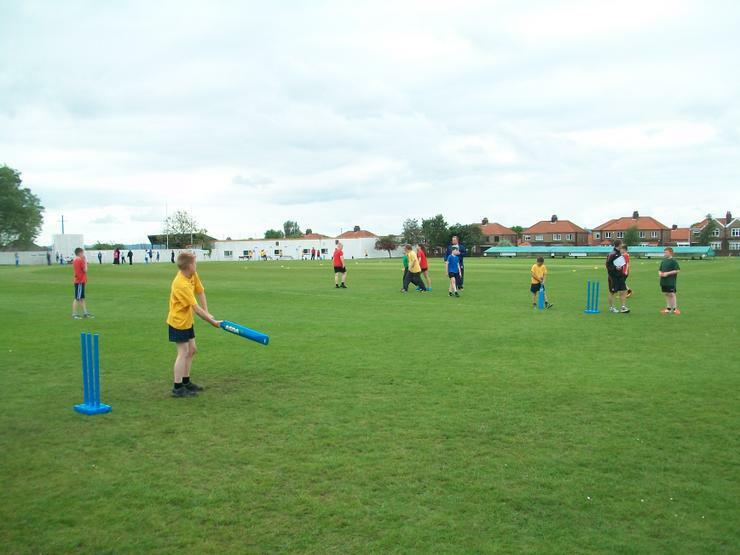 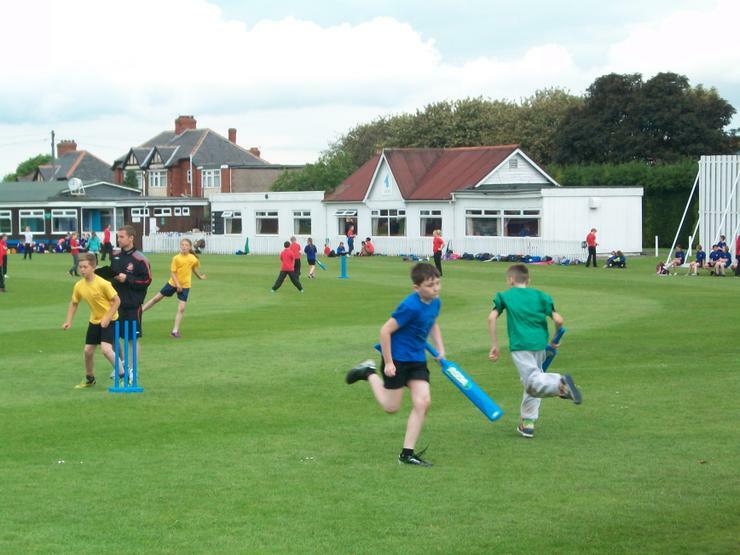 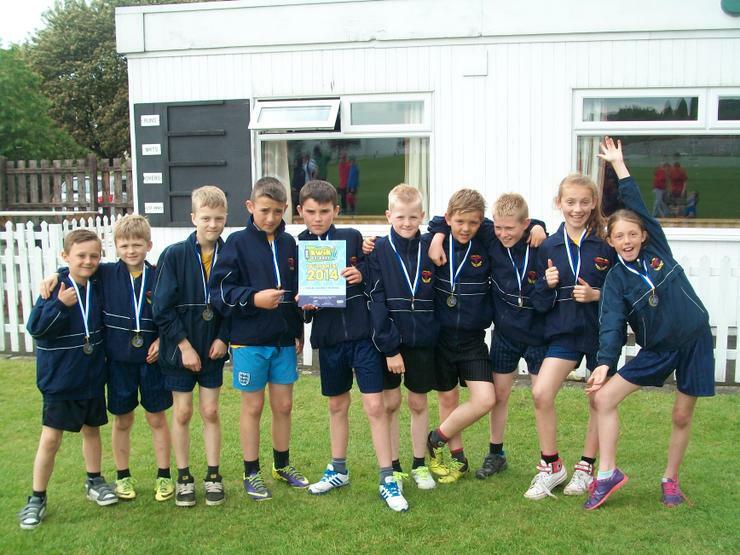 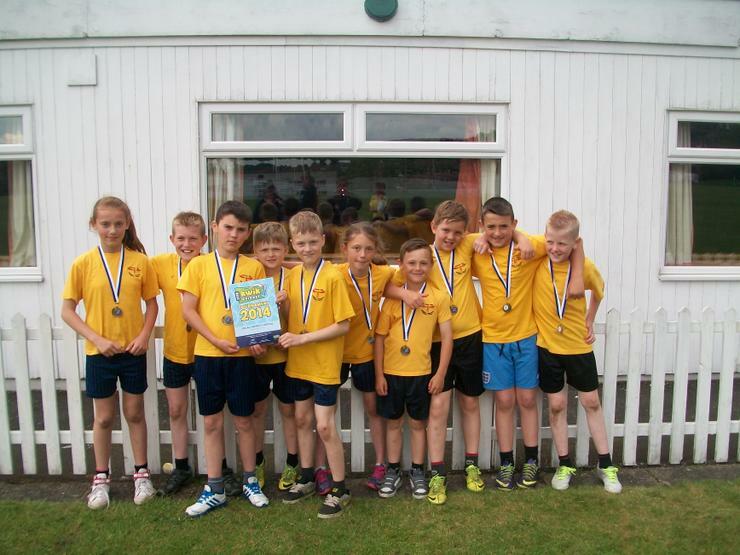 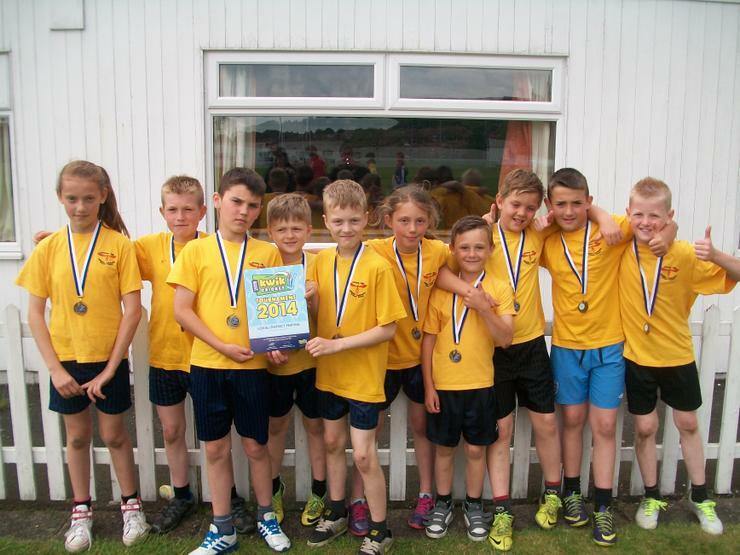 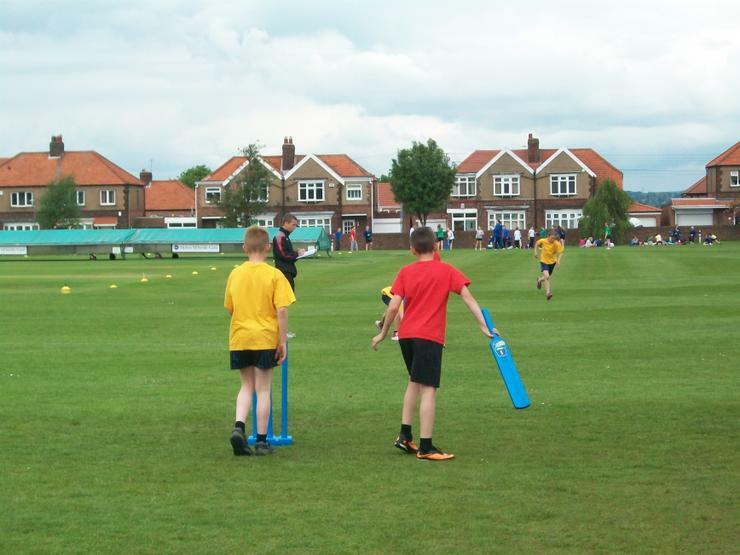 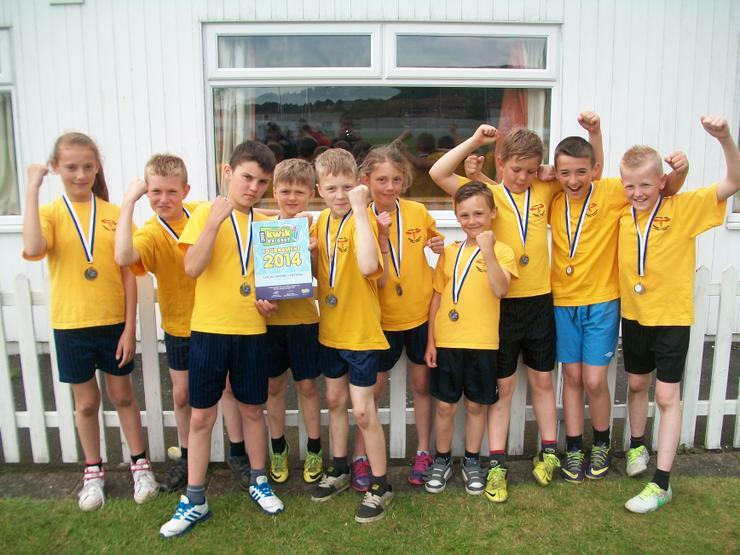 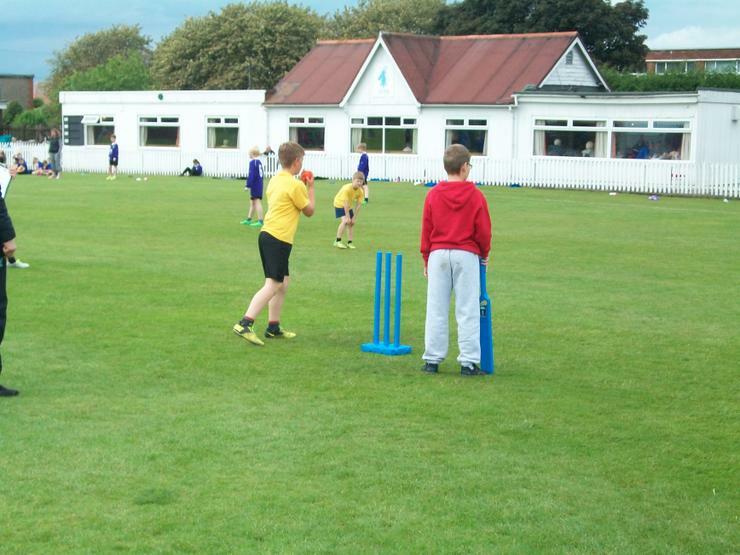 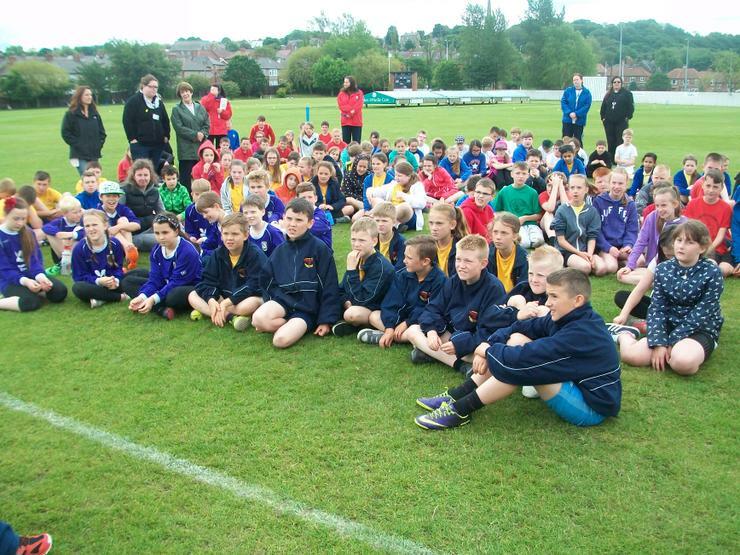 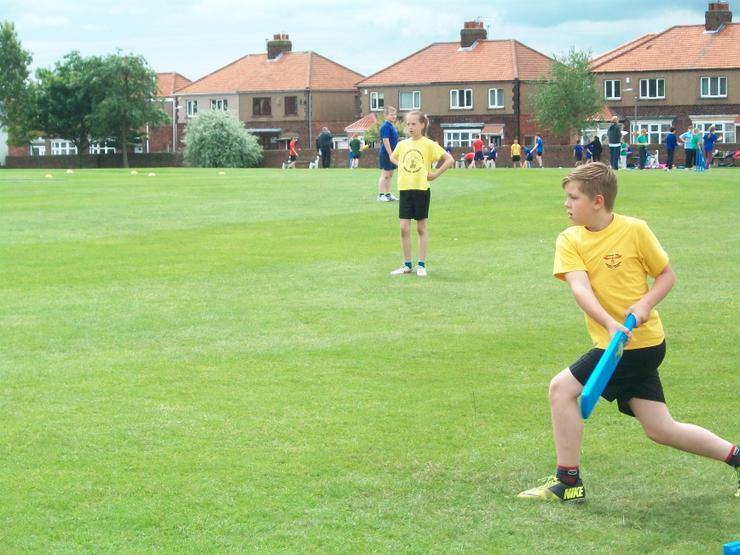 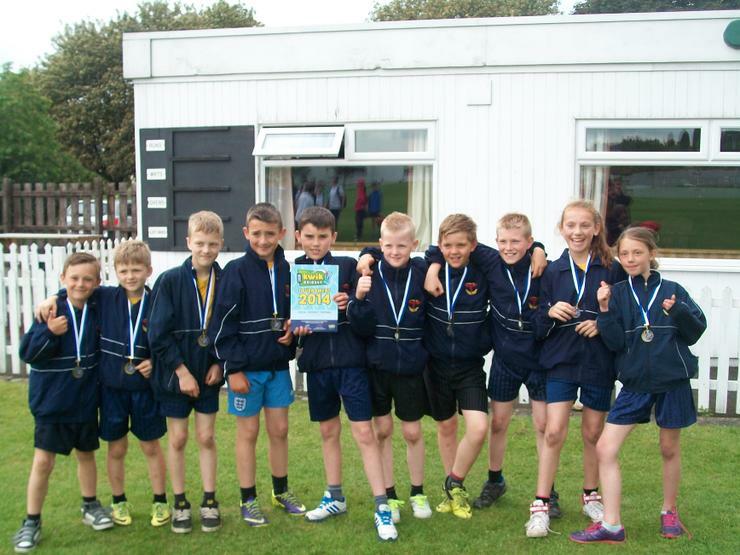 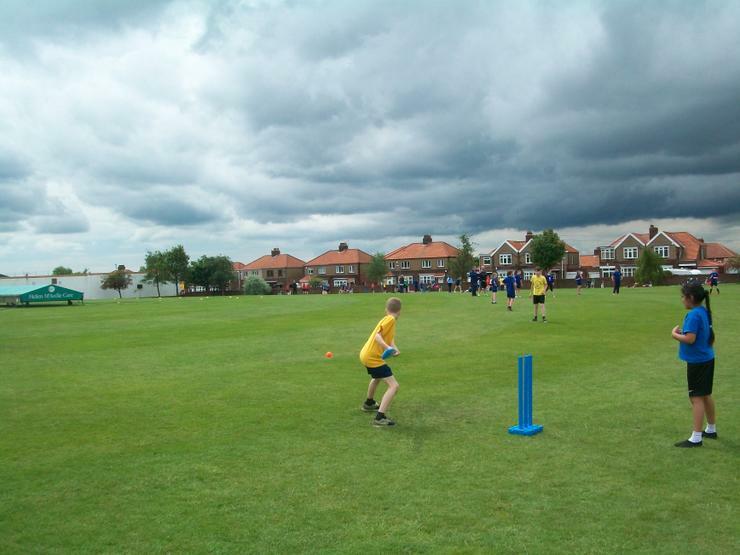 On Tuesday I took a group of ten KS2 children to play in the Gateshead Schools Kwik Cricket Tournament at Gateshead Fell Cricket Club. 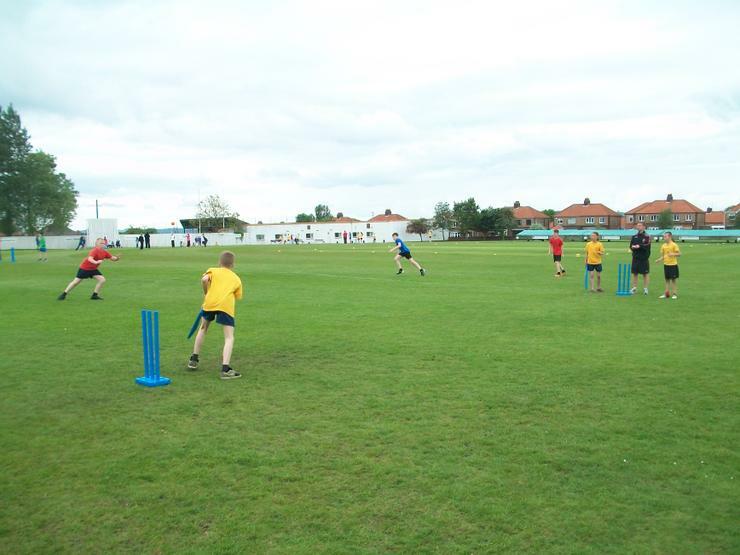 Nineteen teams entered and were put in to three groups of five and one group of four. 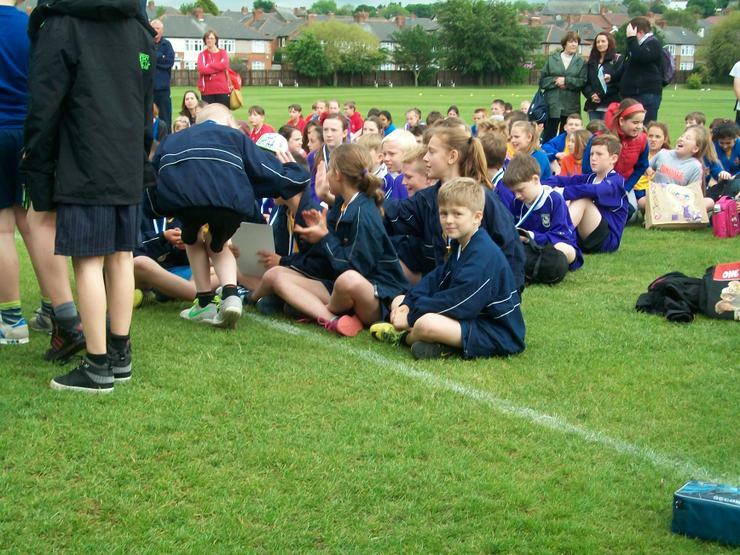 We were in group B. 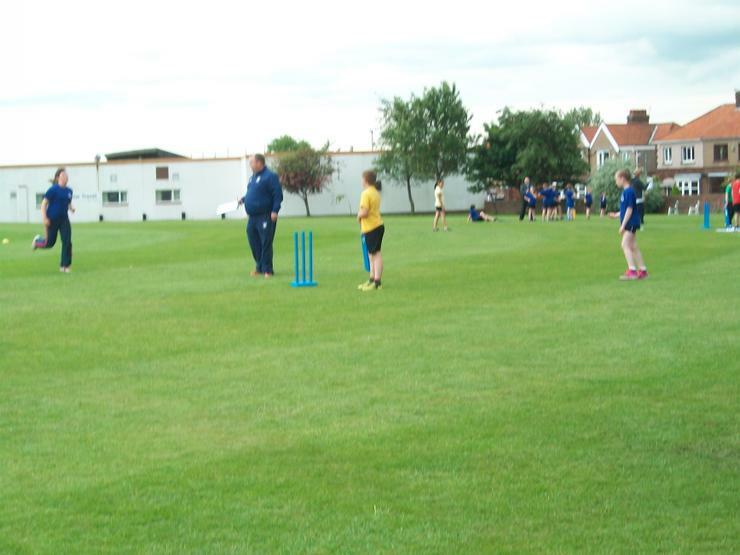 We only had to play three group matches, and those games were against St Peter's, Larkspur and Parkhead B team. 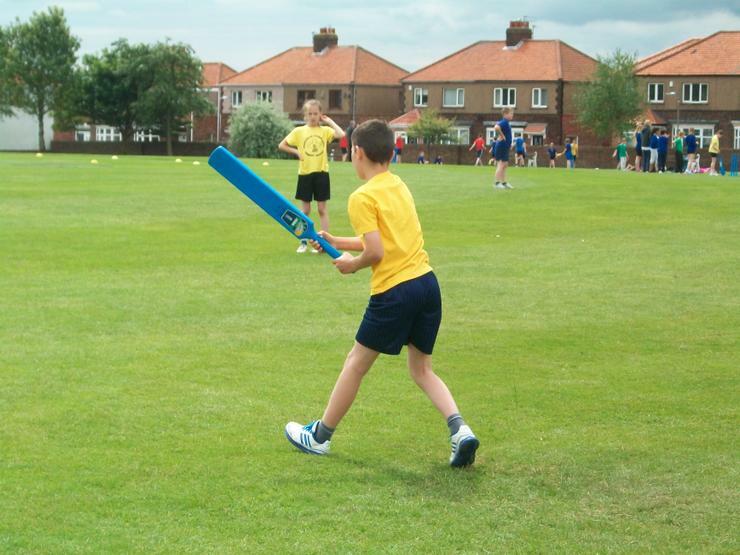 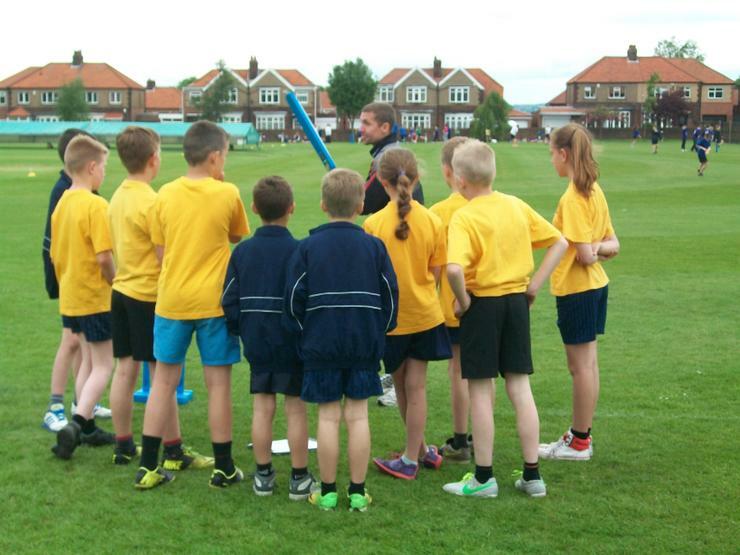 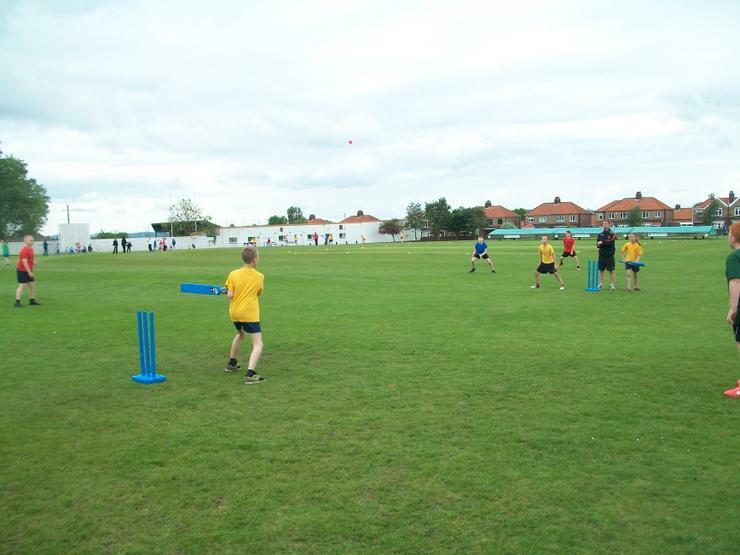 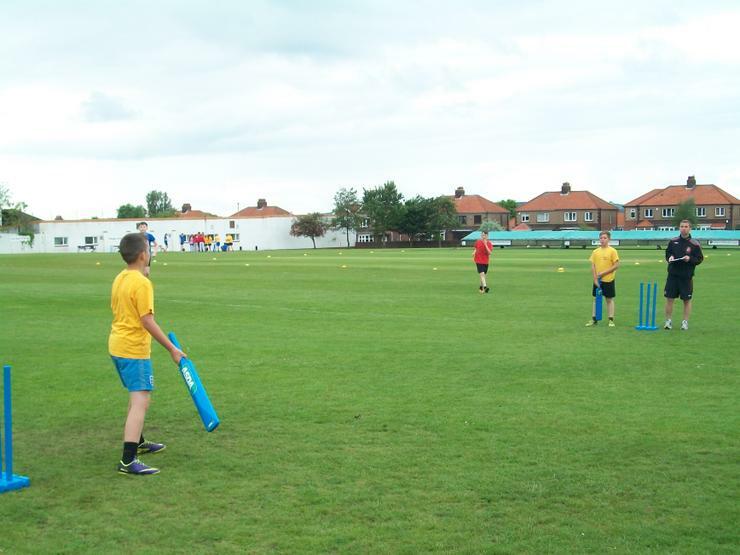 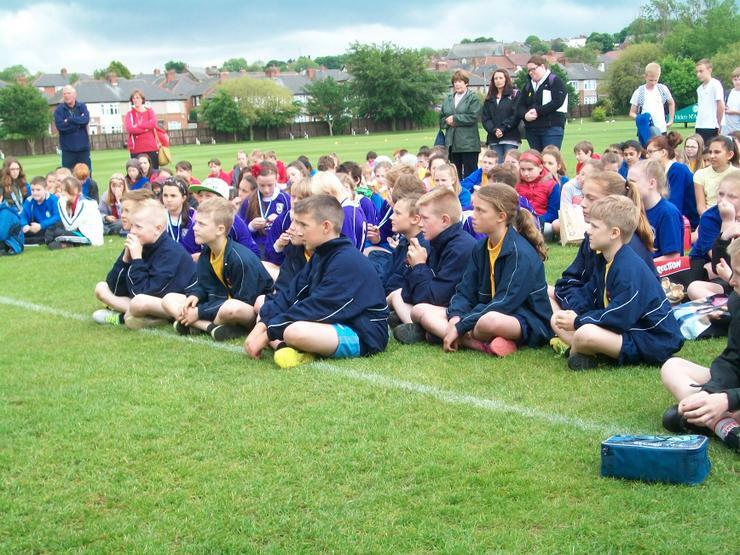 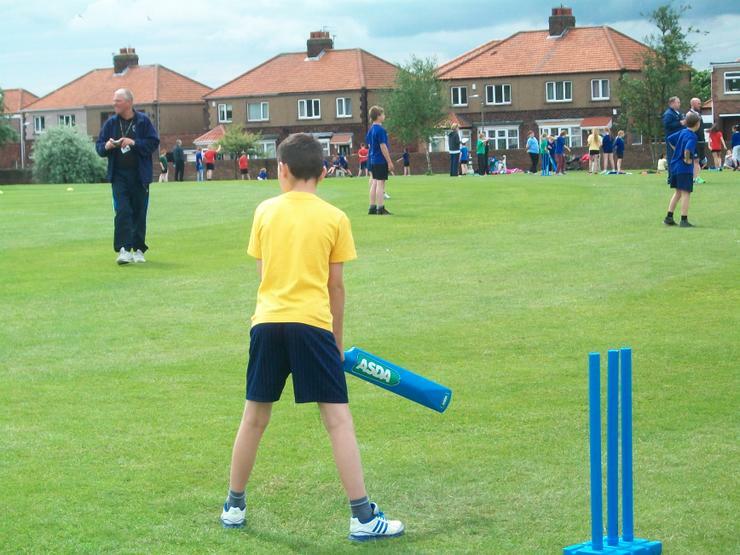 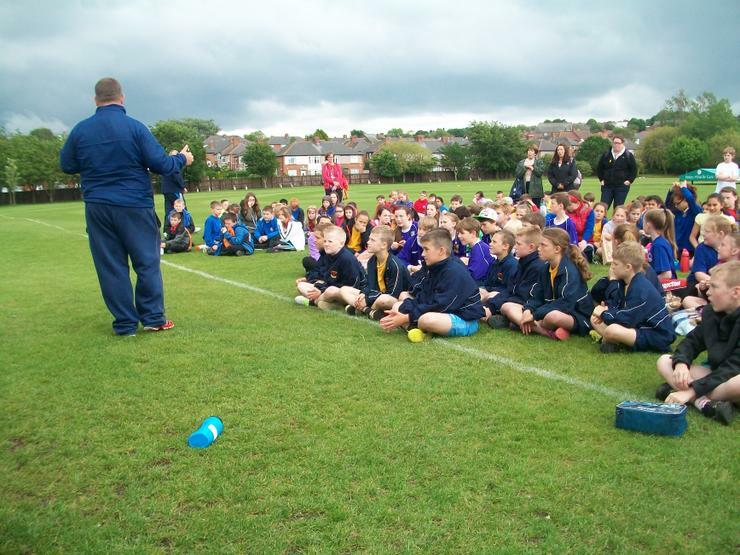 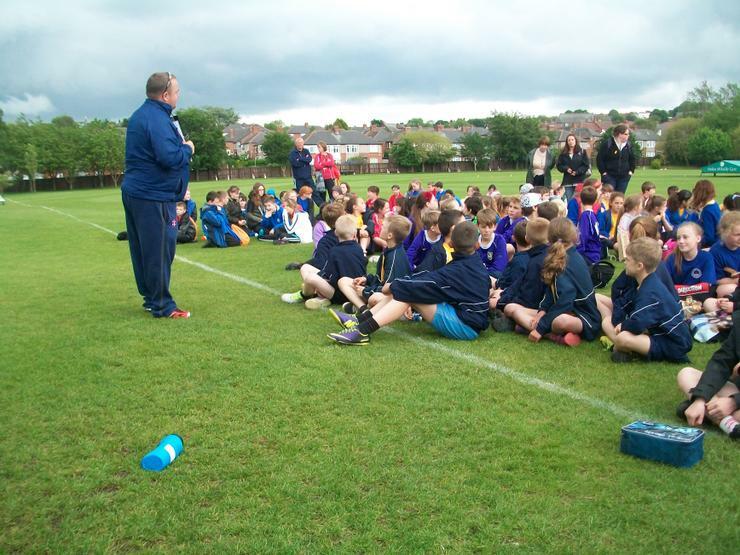 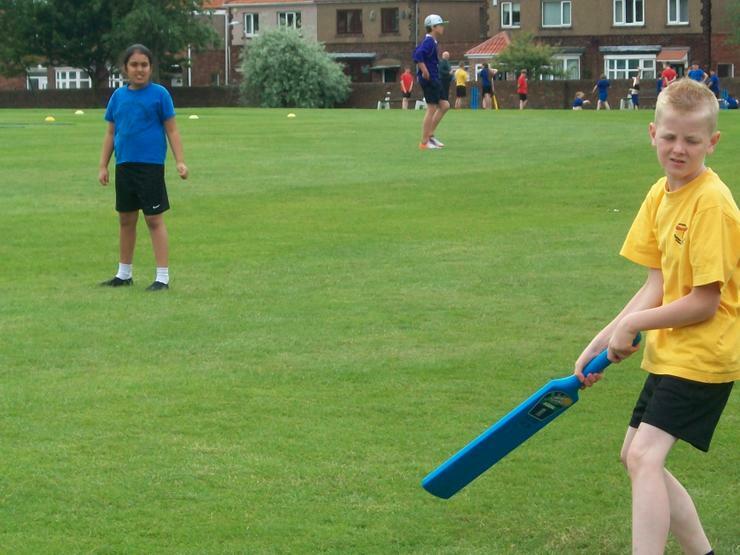 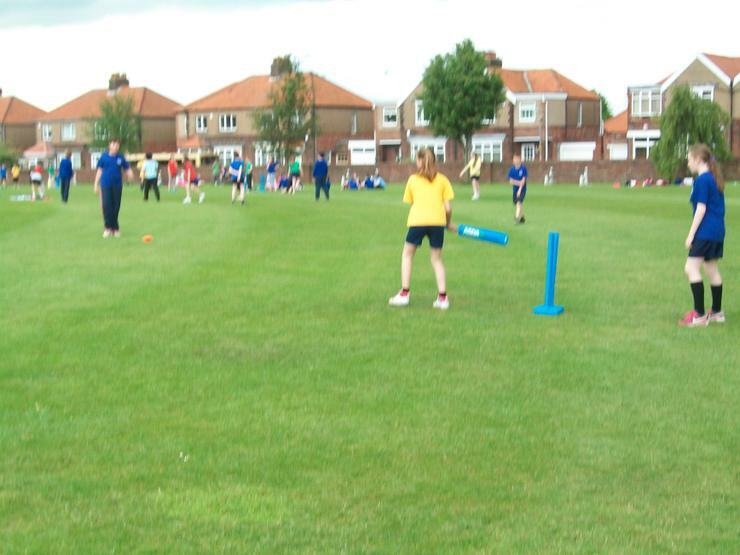 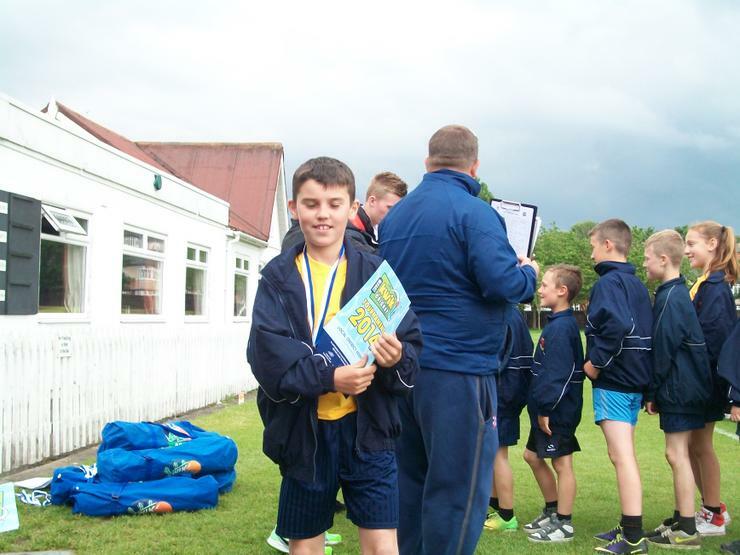 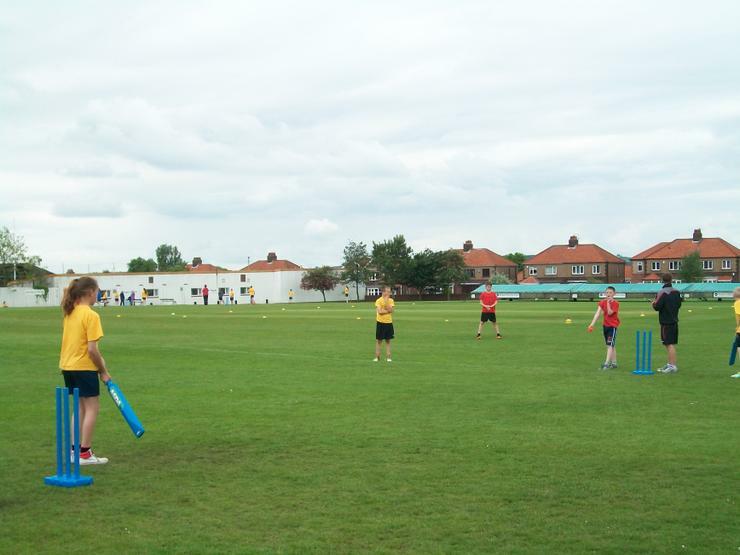 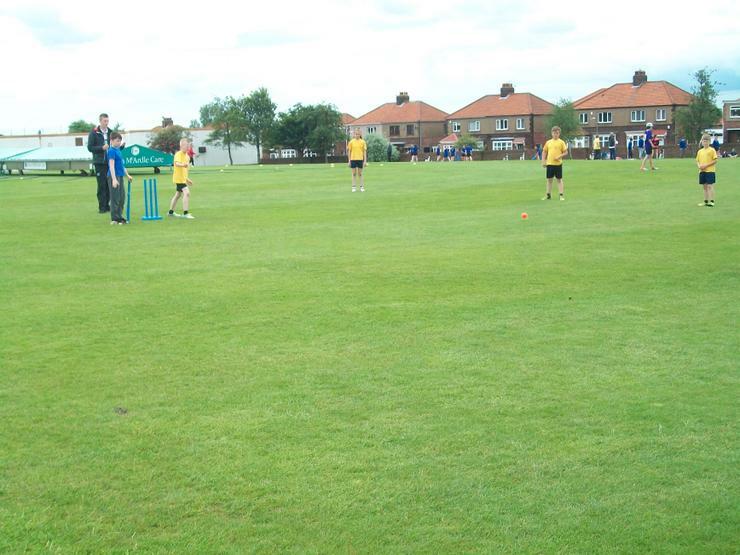 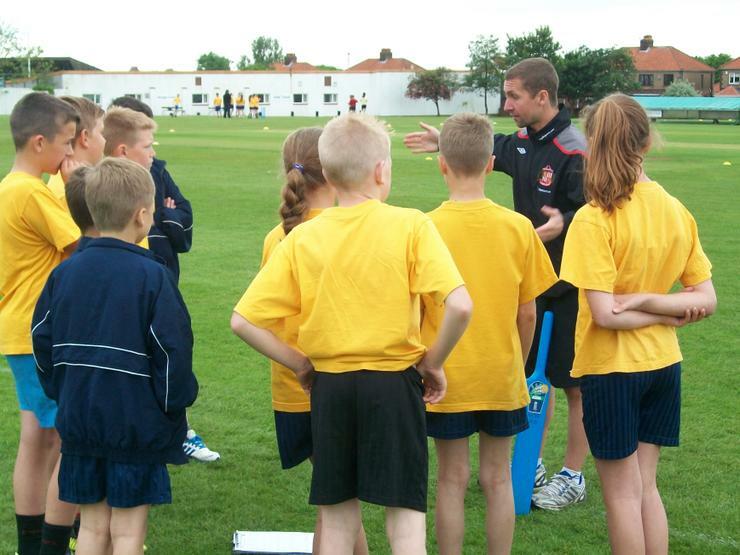 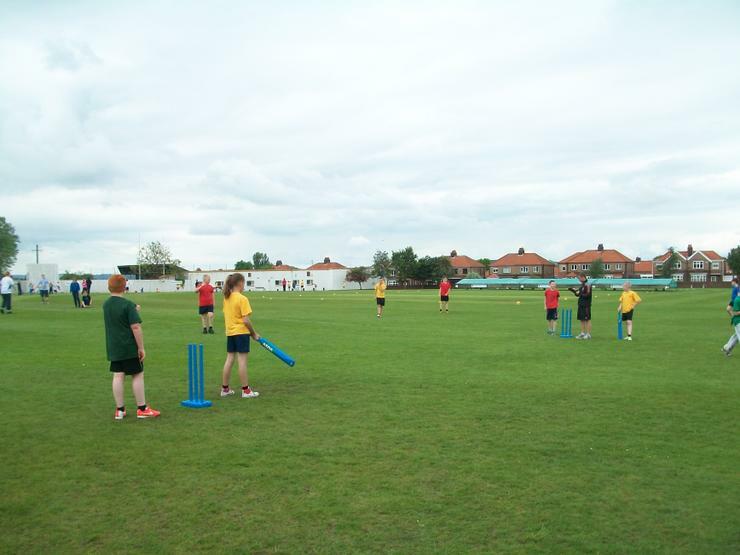 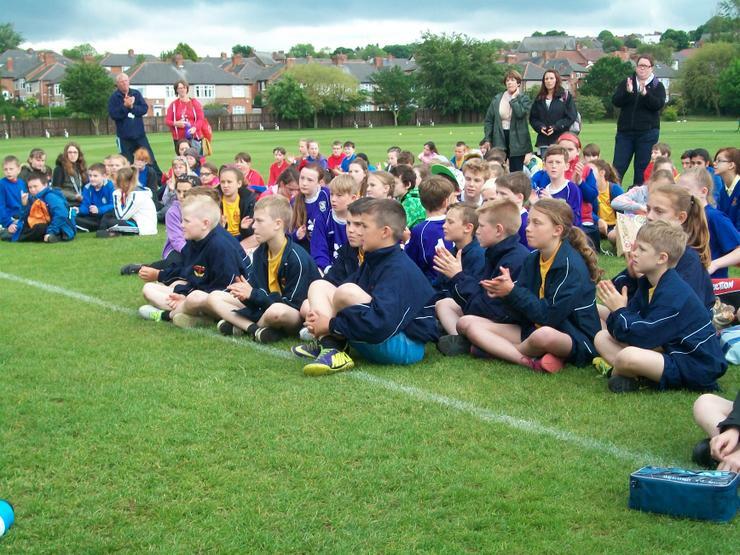 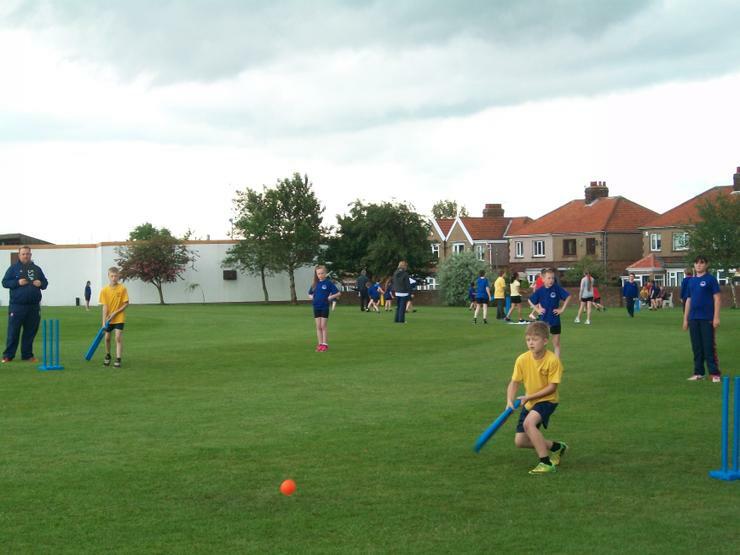 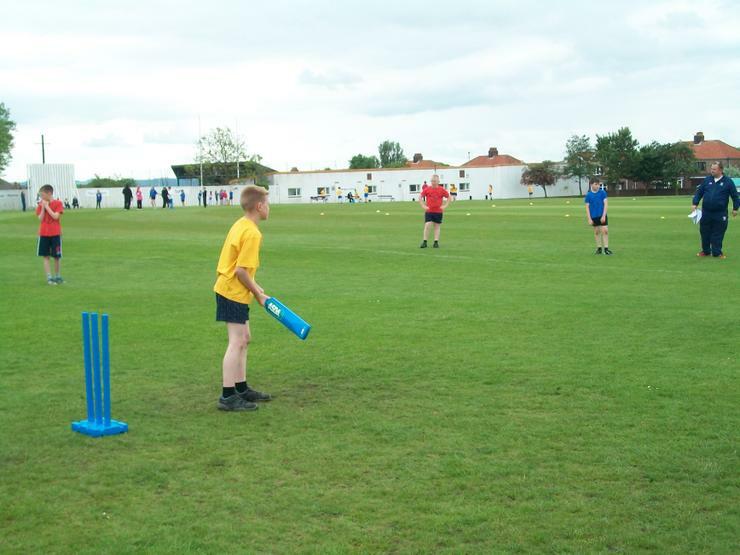 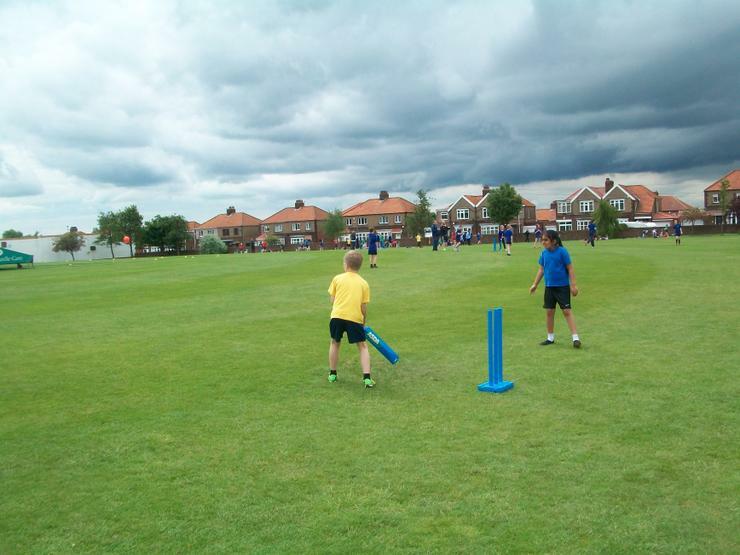 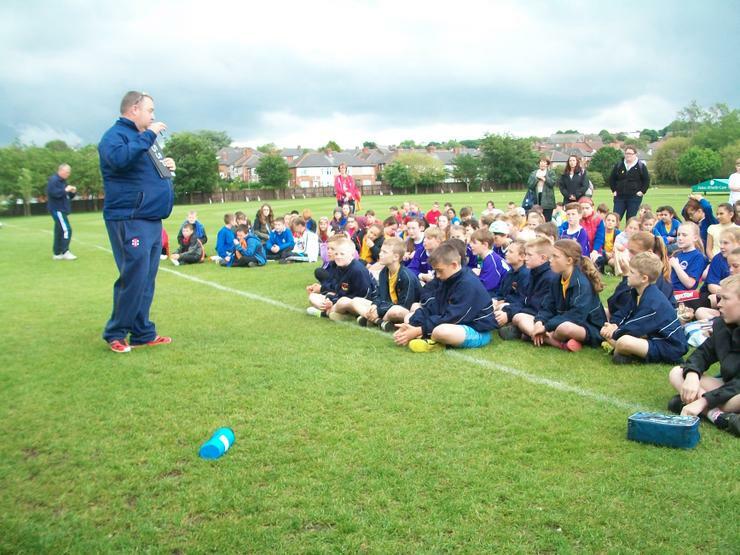 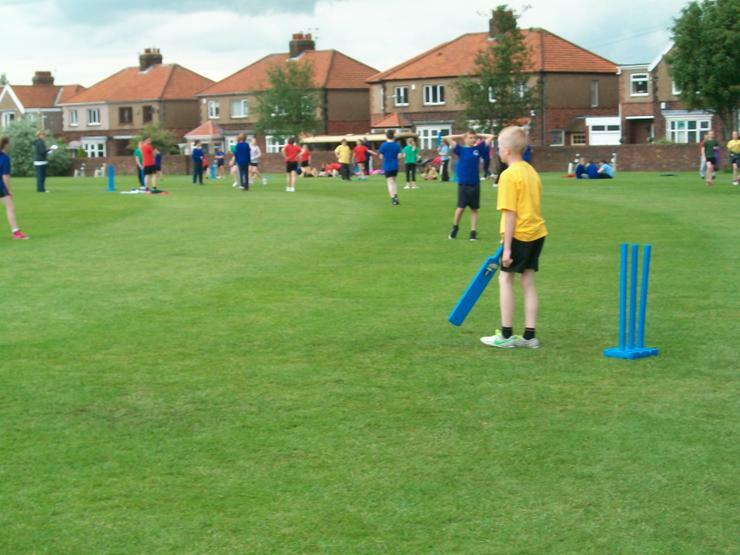 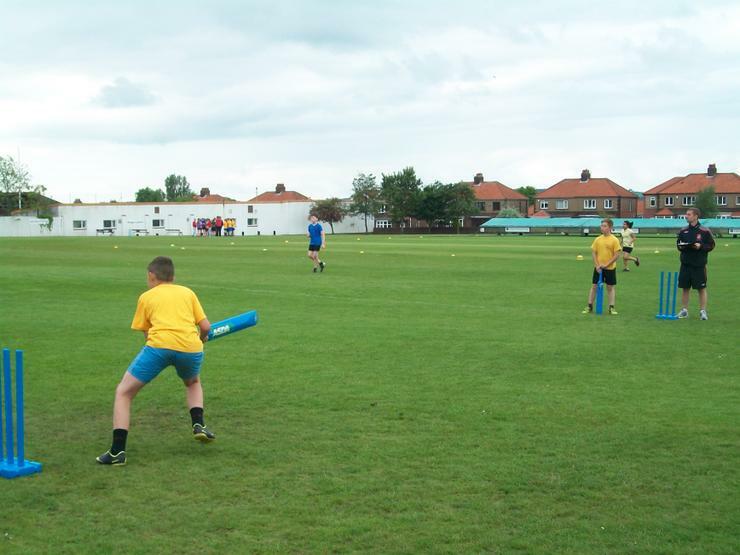 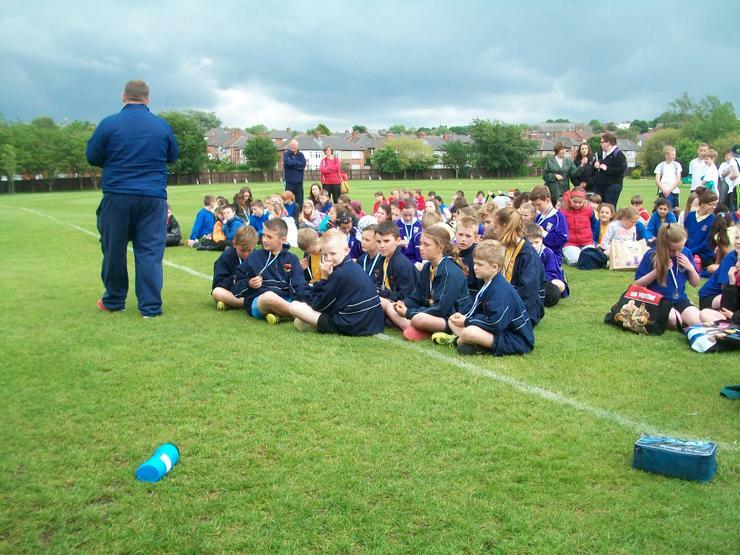 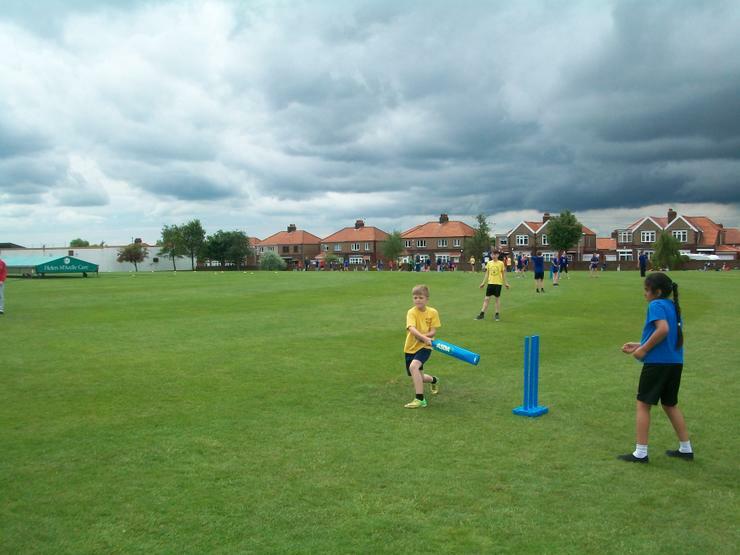 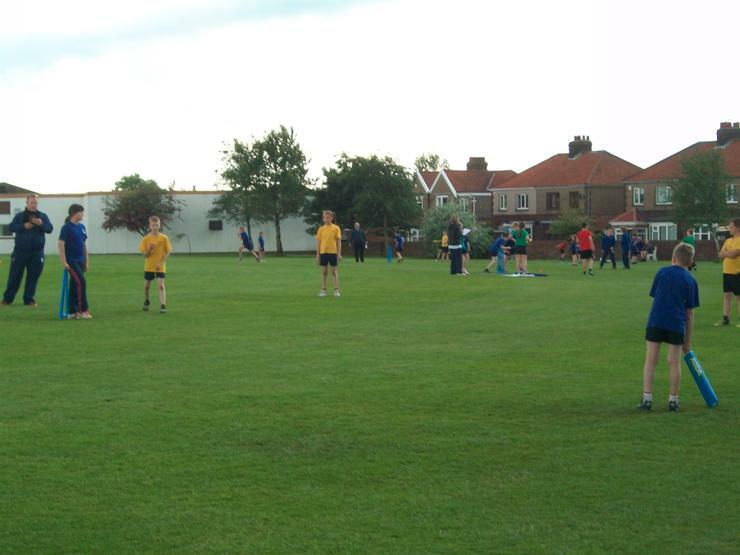 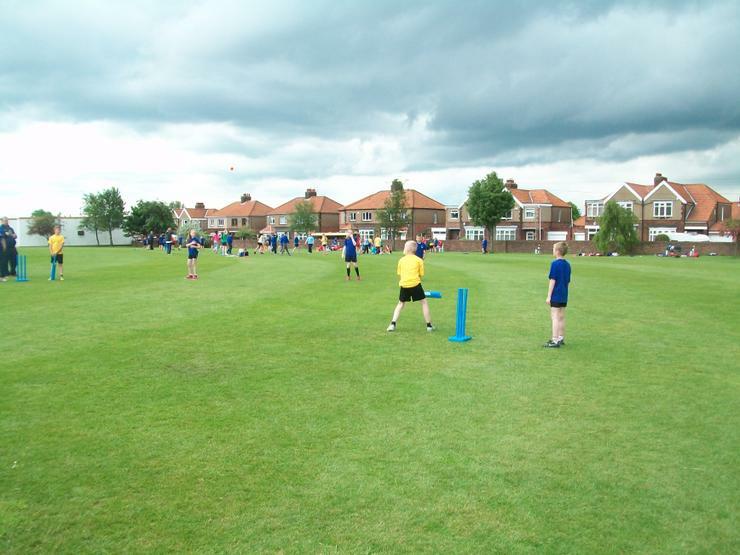 Kwik Cricket is a great game to play and watch, but was very frustrating for me to umpire our group games as the children didn't seem to grasp that if we hit the ball in the air we have a chance of being caught out, which would result in us losing five runs for each wicket we lose. 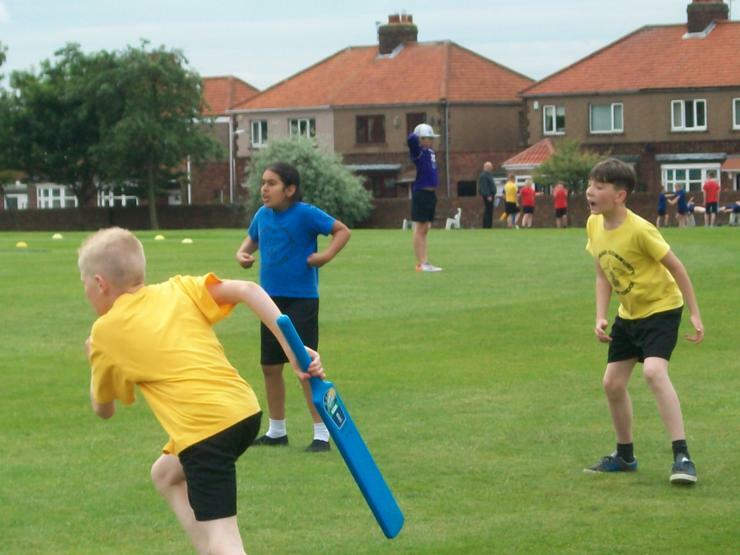 We won all three of our group games because we bowled better than the other three teams we played, but we knew we had to improve on our batting because we were losing to many wickets. 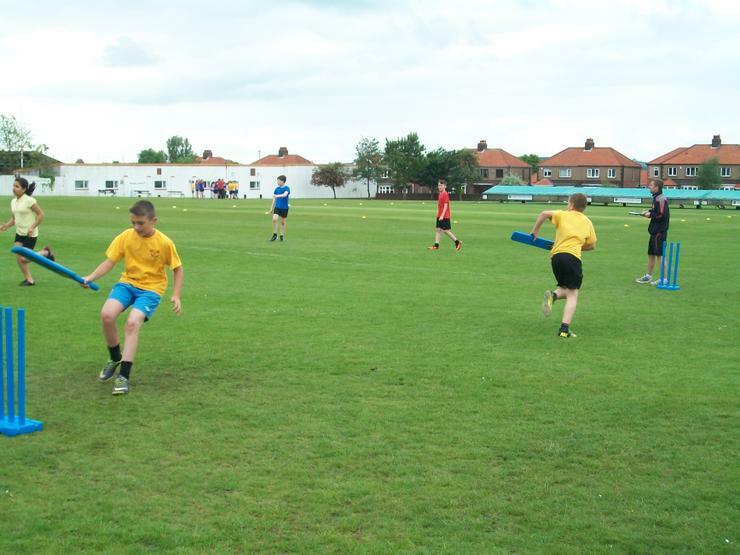 We got through as group B winners and through to the Semi-Final to play Parkhead A team. 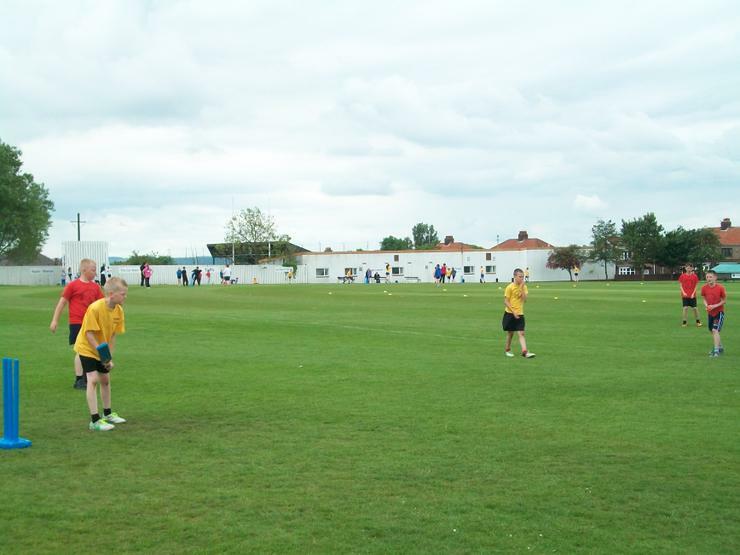 We played well in this game and beat Parkhead quite convincingly. 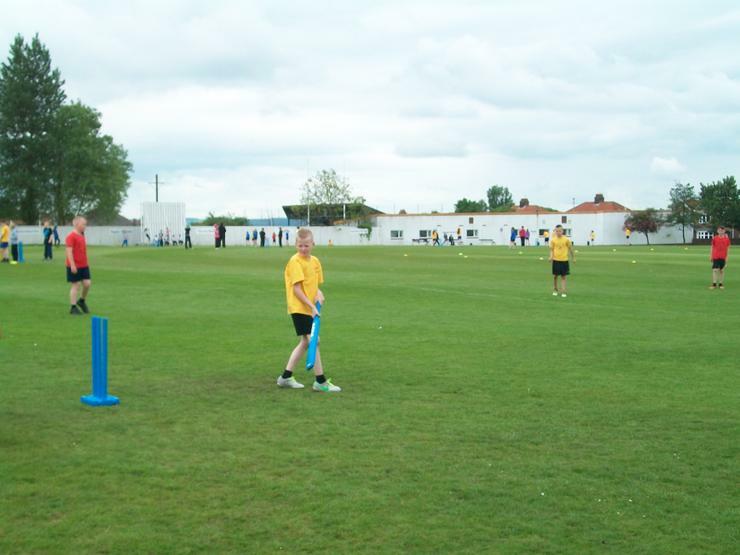 We batted well as partners and bowled and fielded well as a team to restrict our opponents. 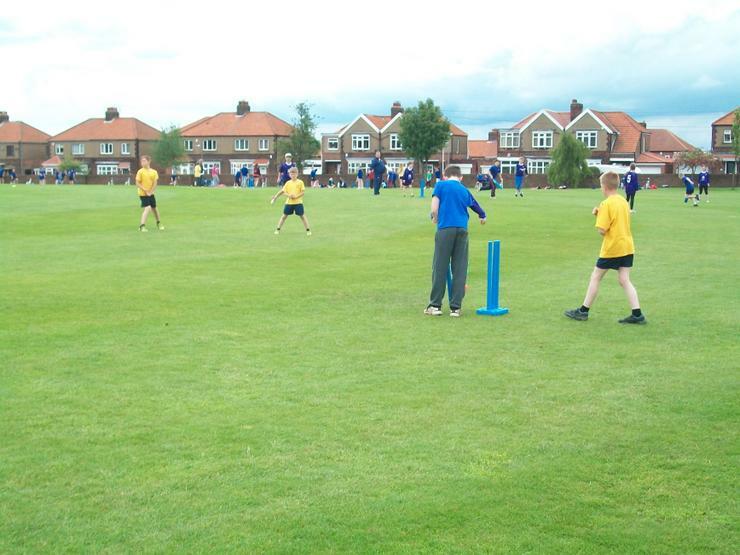 We got through to the final with four wins out of four to play Fell Dyke. 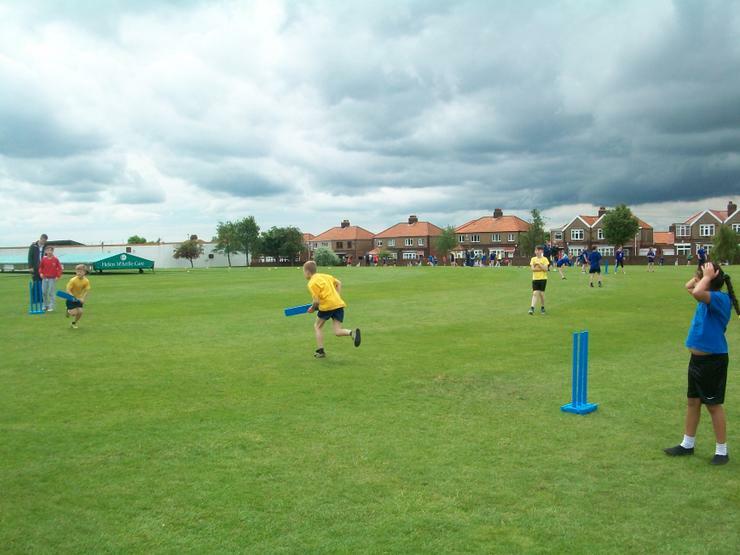 I stressed to all of the children before the game though that to win this game we needed to bowl, field and bat very very well if we had a chance of winning the tournament. 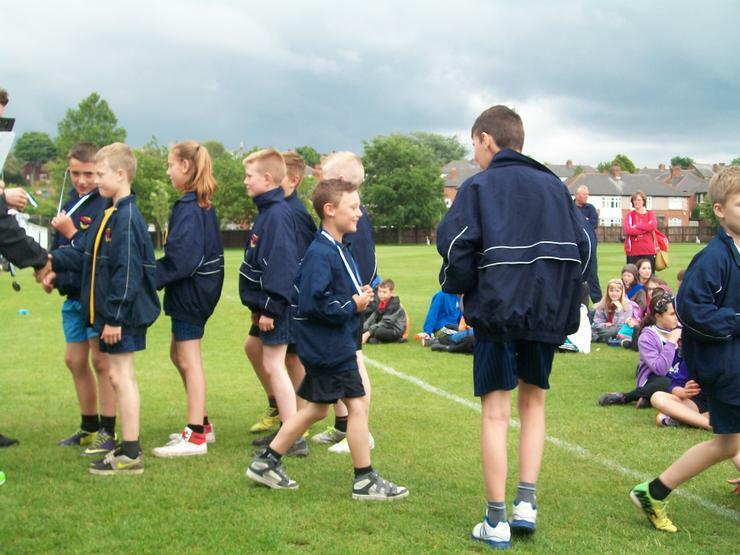 The children did not let me down or themselves. 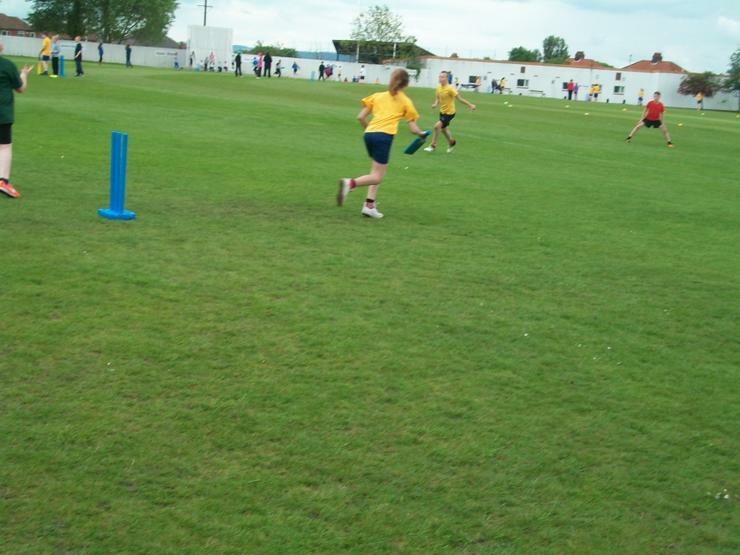 In the four games before the final we bowled first in each game so we knew how many runs we had to chase. 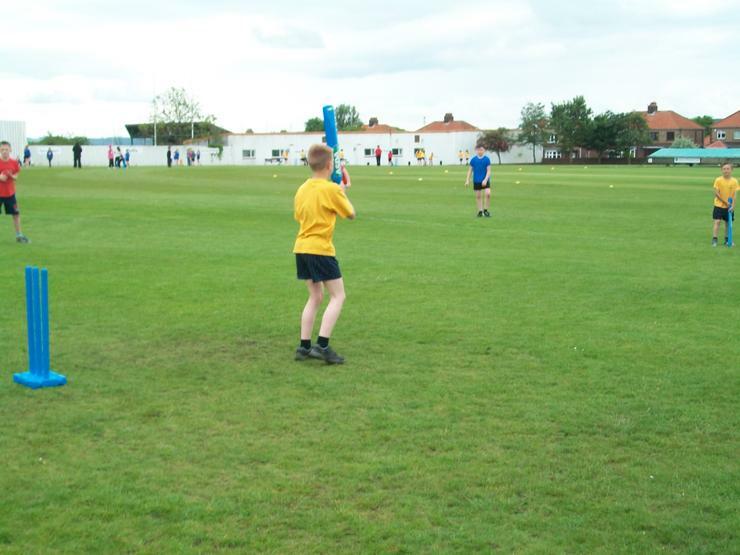 In the final we batted first and had to set Fell Dyke a total. 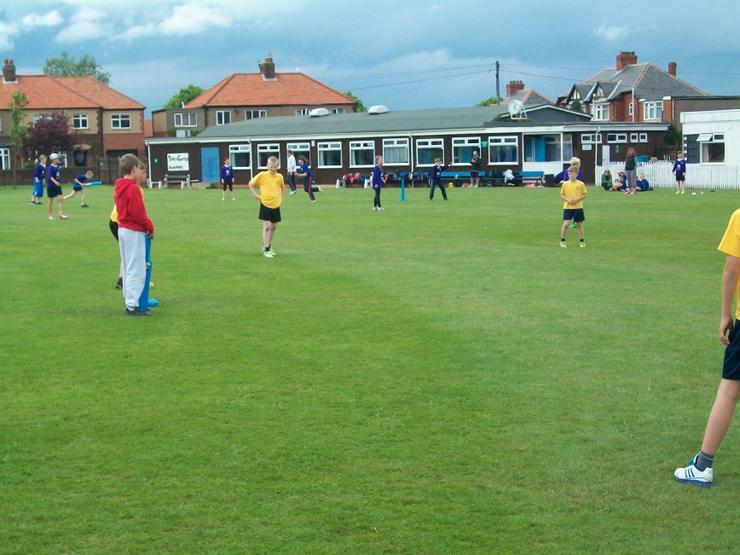 We batted really well in pairs and only lost a few wickets and set Fell Dyke a challenging total. 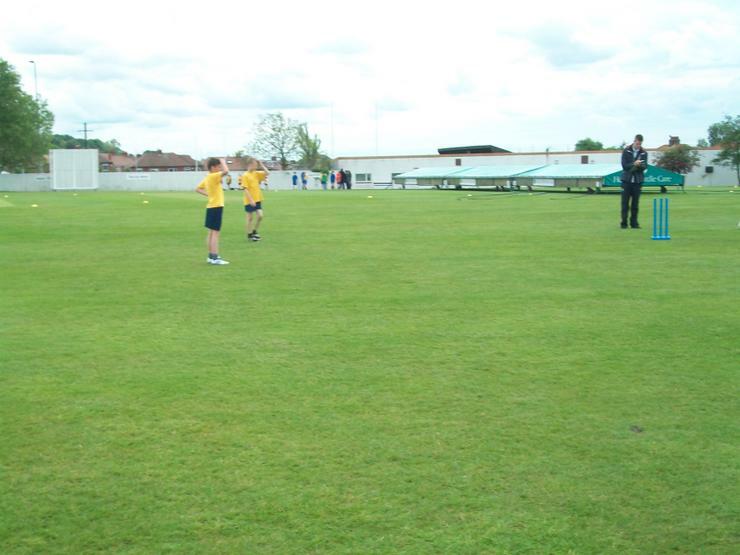 At the half way point we spoke about how we need to bowl and field. 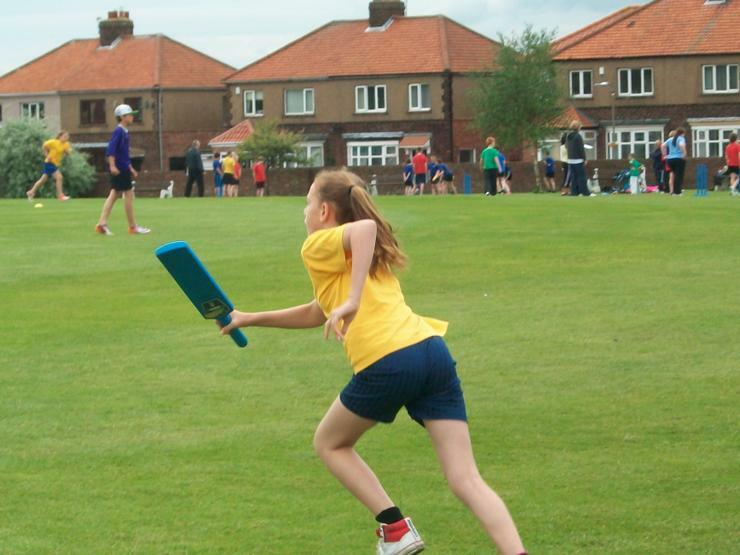 With our bowlers aiming for the stumps and bowling with just one bounce and our fielders on our toes and ready to chase hard for the ball. 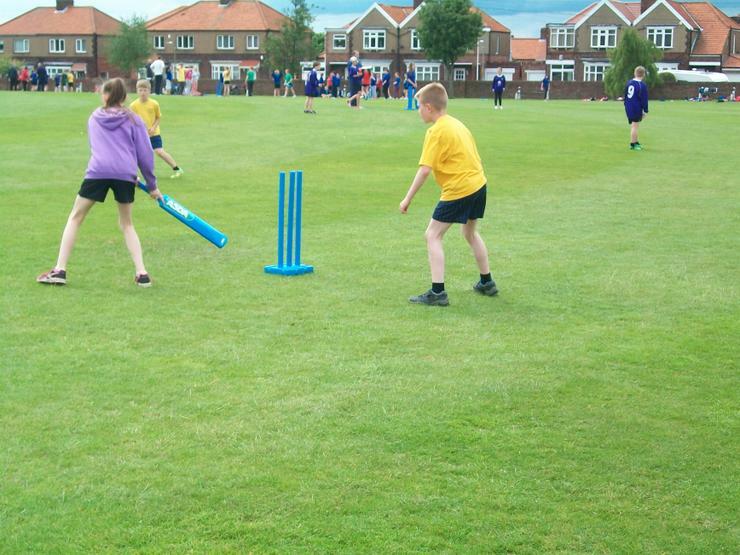 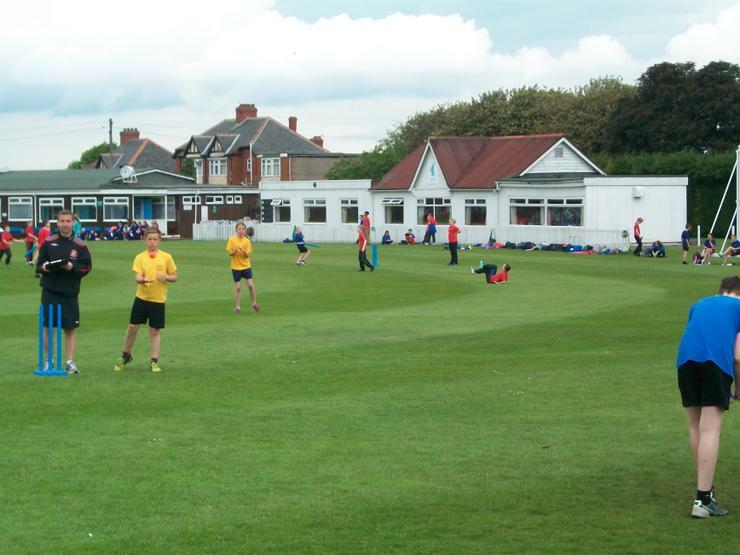 We bowled and fielded superbly well, with cracking catches and fantastic run-outs. 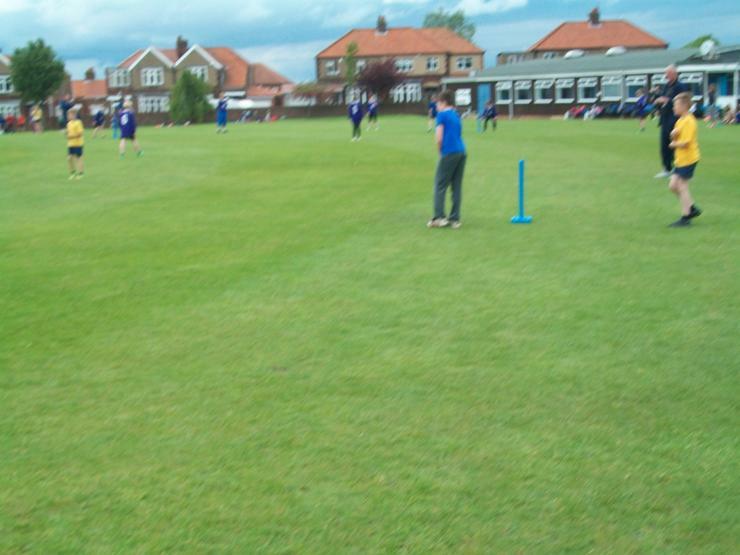 The bowling was on the money in all eight overs we bowled, with the fifth and sixth over we only conceded one run and took two wickets. 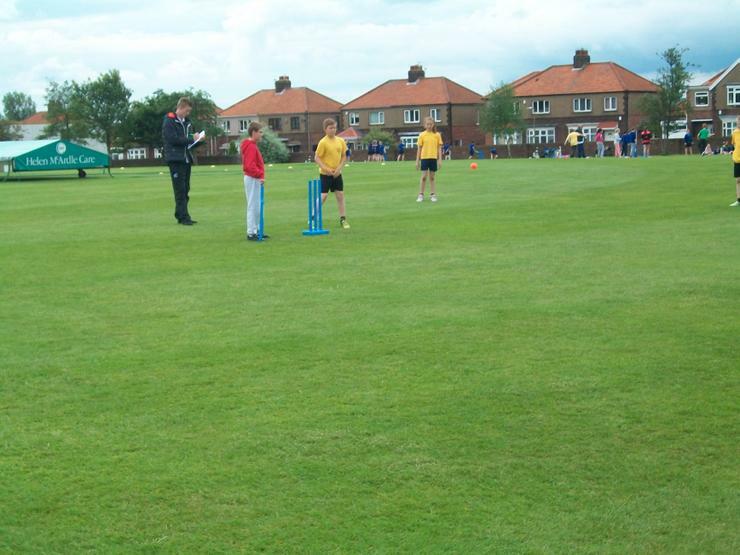 We won by ten runs and were winners of the tournament on the day. 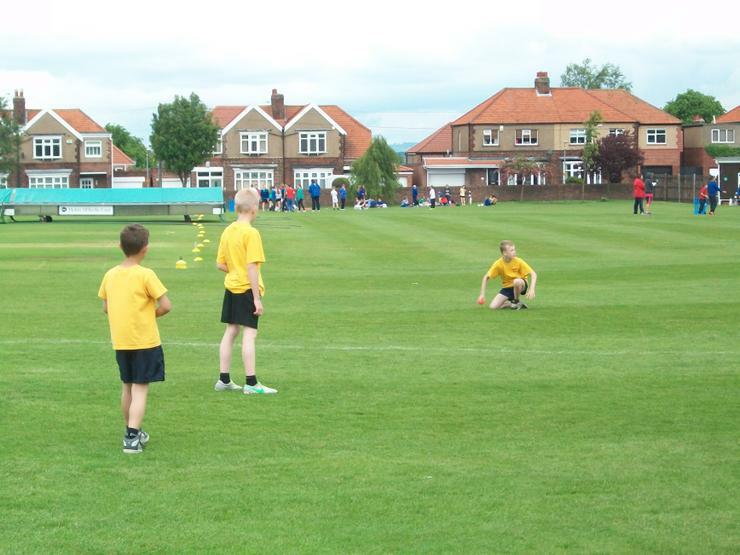 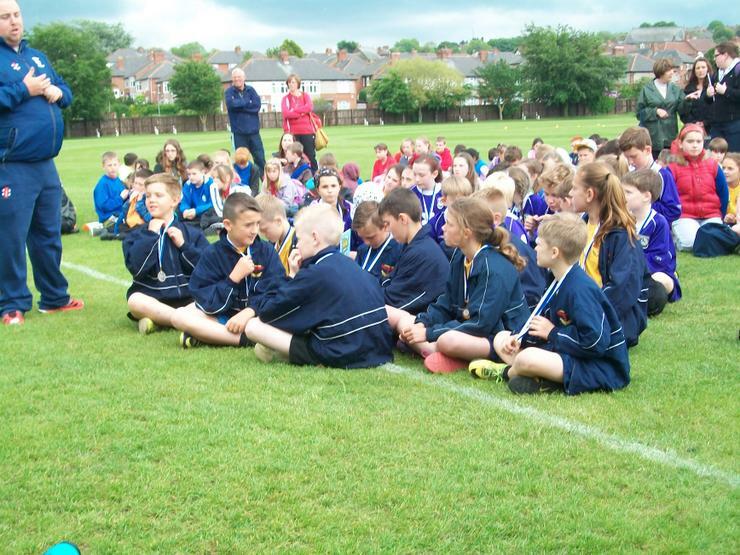 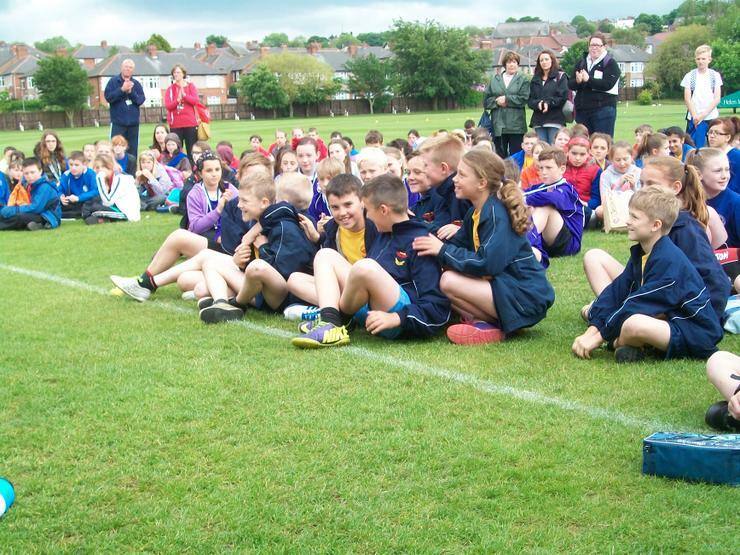 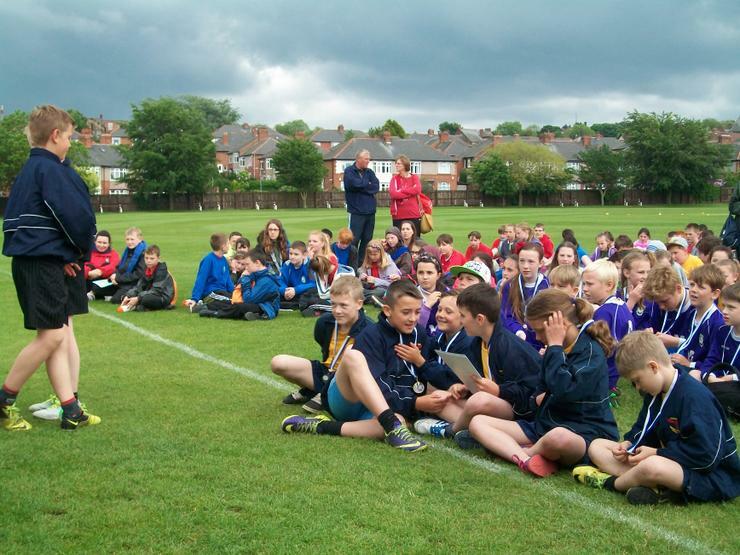 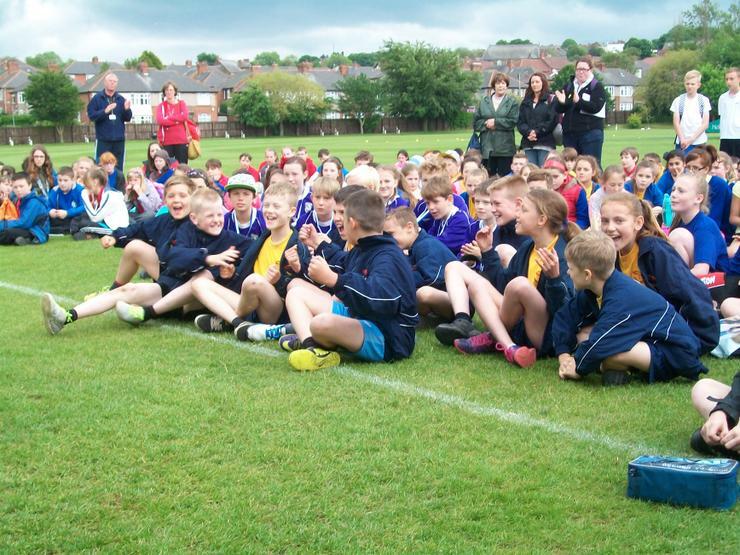 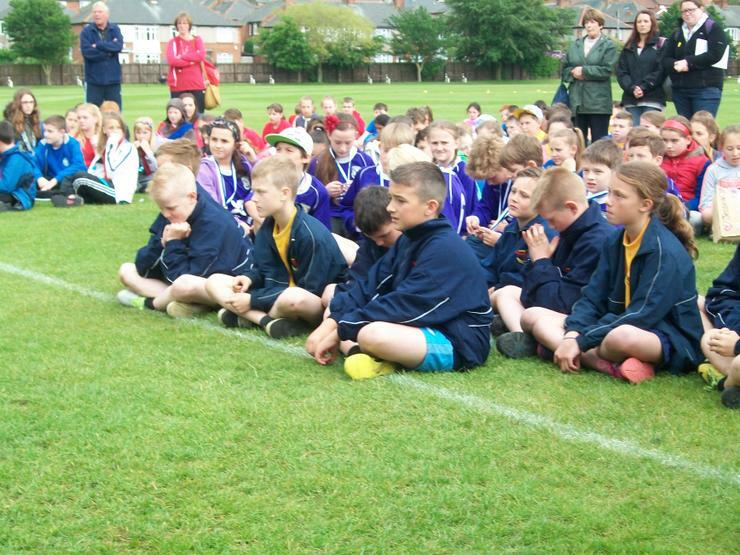 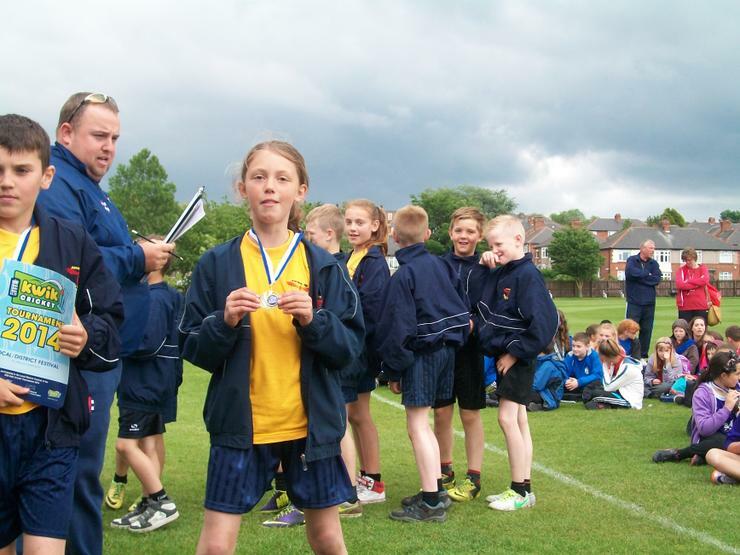 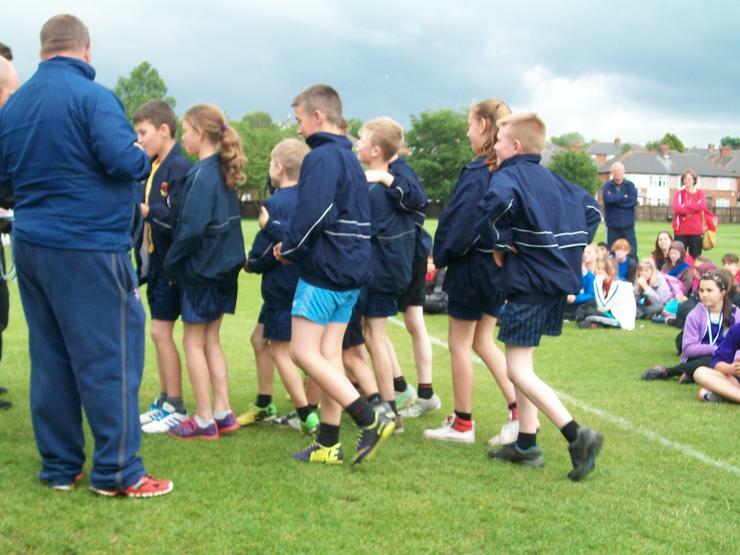 I was very pleased with how the children applied themselves especially in the last two games (When it really matters - to quote Kieron Graham) They did themselves and the school very proud and move on to the Gateshead finals some time next week. 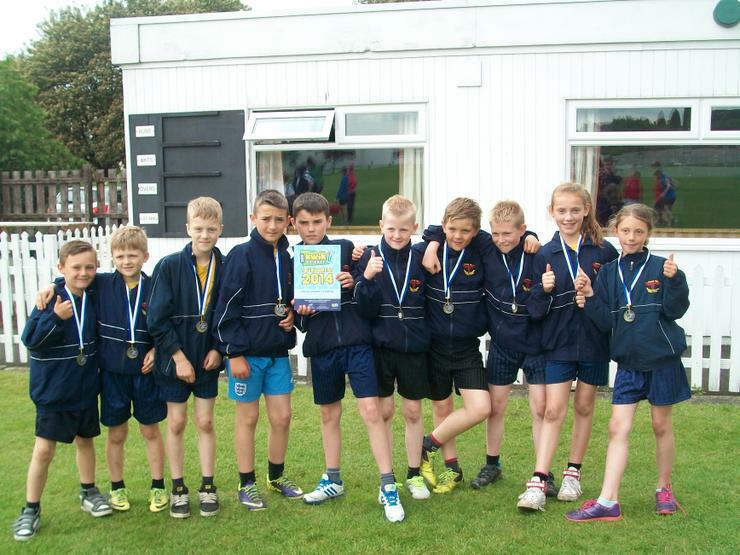 Congratulations to Olivia, Abbi, Kieron, Kieran, Jake, Paul, Lewis, Liam, Jack and Luke.